The VA confirms that it remains on track to make a decision about the future of VistA by July 1. It also raises the possibility of continuing to use VistA, but as a vendor-hosted service. VA Secretary David Shulkin committed to the July 1 date last month. He has also said that the VA made a mistake in not working with the Department of Defense — which chose Cerner for its MHS Genesis project – to buy a single, integrated system. Acting VA CIO Rob Thomas says a commercial solution remains an option, specifically mentioning Cerner. The VA has hired consulting firm Grant Thornton to create a business case for four possible actions, one of which is to turn VistA over to a vendor that would then provide it as a service. From CIO Uptime Monitor: “Re: BIDMC/Harvard Medical School job posting. Says the CIO is retiring this spring. Is that John Halamka?” No. 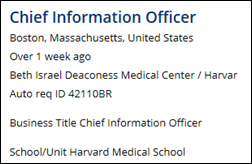 That job posting is for the Harvard Medical School CIO position held by Rainer Fuchs, PhD, who has been at HMS since 2012 and who is indeed retiring. Welcome to new HIStalk Platinum Sponsor Docent Health. 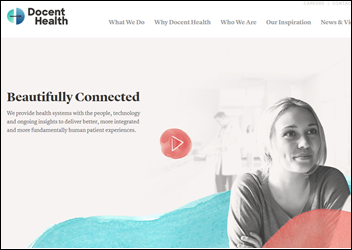 The Boston-based company provides health systems with the people, technology, and insights they need to improve and personalize the patient experience, giving each person a set of customized touch points to cover their journey. Its consumer-centric approach drives higher satisfaction scores by satisfying the human need of patients to understand and to be understood. 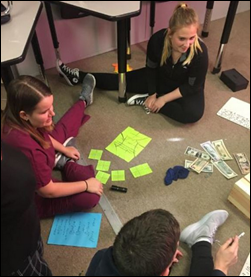 The company provides on- and off-site liaisons – or docents – who coordinate with patients before, during, and after their clinical experience and who participate in nursing huddles and rounds to make sure the non-clinical needs and preferences of patients are met and to empower clinical staff to deliver empathetic care. Health systems get operational patient data dashboards and executive reporting to spot service gaps and identify community health needs. Doing the right thing also drives measurable return on investment via more loyal customers, better satisfaction compensation, and long-term savings. I interviewed CEO and industry long-timer Paul Roscoe a few days ago, obviously catching him off guard with my spur-of-the-moment question wondering whether “data-driven empathy” is an oxymoron. Thanks to Docent Health for supporting HIStalk. 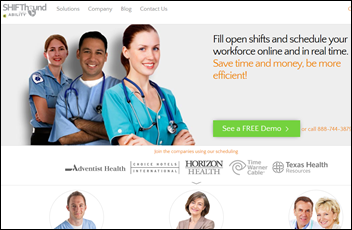 Healthcare payments system vendor Ability Network acquires ShiftHound, which offers staff scheduling and credentialing systems. Attorneys for Chicago-based Tronc (the former Tribune Publishing) file a letter with the SEC in response to a complaint by NantHealth’s Patrick Soon-Shiong, who made a $70 million investment in the company last year to help thwart a hostile takeover attempt by Gannett. The company says that before investing in Tronc, Soon-Shiong first suggested that Tronc invest in NantHealth’s IPO, and after being rebuffed, then insisted that Tronc Chairman Michael Ferro make a personal investment in NantHealth is an “implicit threat” to pulling out of the deal. Tronc says Ferro took a $10 million stake in NantHealth to pacify Soon-Shiong. Tronc has removed Soon-Shiong for board member re-election and has capped his ownership stake, leading to accuse the company of intentionally squeezing him out. Tronc also claims that Soon-Shiong is demanding payments for Nant-provided technology he made available to Tronc to monetize its online content even though the technology turned out to be unsuitable. 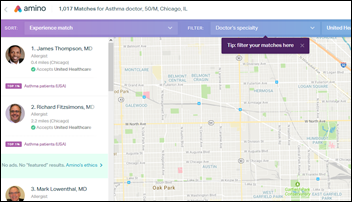 Doctor search website Amino raises $25 million in a Series C funding round, increasing its total to $45 million. The company makes money selling customized versions of its search function to employers and health plans and by offering access to its insurance claims database. Orion Health Group shares drop sharply after the New Zealand company’s trading update predicts lower revenue. They’re down 61 percent in the past year with a market cap of $226 million. The company says it still hopes to swing to profitability in 2018. McKesson completes its $1.1 billion acquisition of CoverMyMeds. 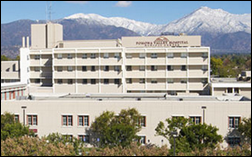 Pomona Valley Hospital Medical Center (CA) chooses Cerner Millenium to replace Cerner Soarian Clinicals and NextGen ambulatory. It will continue to use Cerner Soarian Financials. Bon Secours Virginia Health System will implement Tonic Health to automate its intake and payments processes. 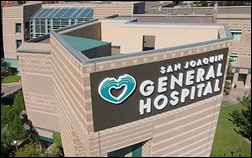 Skagit Regional Health (WA) and San Joaquin General Hospital (CA) choose MPI clean-up services from Harris Healthcare’s QuadraMed Patient Identity Solutions as they move to Epic and Cerner, respectively. Nadine Hays (Verscend) joins OmniClaim as chief growth officer. Texas Health Resources promotes Debbie Jowers to VP of ambulatory ITS services. 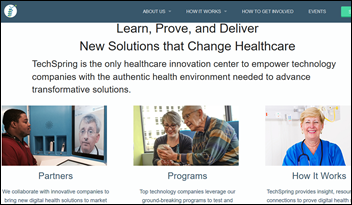 Baystate Health’s Techspring innovation center launches a software development and testing environment for its partners, built on the InterSystems HealthShare interoperability platform. Rock Health releases its Q1 2017 digital health report, indicating that providers and health plans are delaying expenditures based on regulatory uncertainty but key players remain cautiously optimistic and feel well positioned to navigate any regulatory changes. In Q1, they counted 71 digital health deals totaling over $1 billion. The top six categories by deal volume were Analytics/Big Data, Care Coordination, Telemedicine, Hospital Administration tools, Consumer Engagement, and Wearables/Biosensing. A small Spok survey finds that health systems rarely apply strategic hospital initiatives to their mobile strategy and don’t often include clinicians in their planning teams. Change Healthcare releases InterQual 2017. The revised ACA replacement apparently being pushed for quick approval would allow individual states to permit insurers to offer less than the current “essential health benefits” and to charge higher premiums for people with pre-existing conditions. Both were the pre-ACA norm, when less-expensive insurance bought directly from insurers (rather than via an employer) often didn’t cover pregnancy or drug addiction treatment and denied policies to those with relatively minor medical conditions. 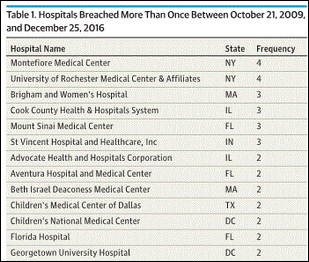 A review of significant hospital data breaches finds that major teaching hospitals were more commonly involved than smaller or non-teaching hospitals from 2009 to 2016, possibly because they allow more employees to view patient data. 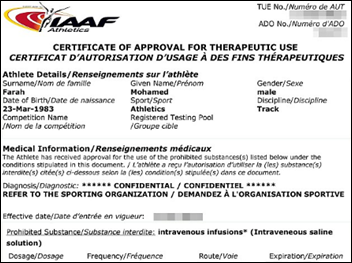 Hackers breach the systems of the International Association of Athletics Federations, exposing the information of athletes who have applied for exemptions that would allow them to use drugs contained on anti-doping lists. The Fancy Bears hacker group, which claims responsibility, previously published the medical records of mostly American and British Olympic athletes after the IAAF accused Russia of state-sponsored doping and banned their teams from competition. ABCD Pediatrics (TX) is hit with ransomware, and though it was able to restore from backups without paying the hacker, it found evidence that its systems had been compromised for some time. HHS OCR warns healthcare organizations that use HTTPS security that malware-detecting HTTPS interception products may not pass along any warnings or errors, allowing the organization to validate only the connection between themselves and the interception product’s certificate rather than all the way to the server. 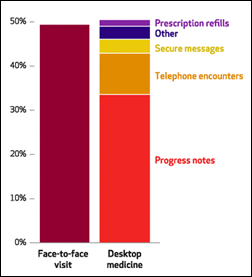 Ambulatory practice physicians in a community-based health system spend about as much time practicing “desktop medicine” as they do in face-to-face office visits, an analysis of time-stamped EHR records finds. 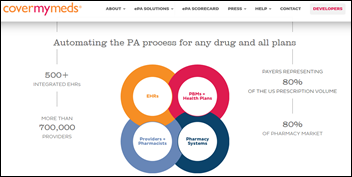 Physicians are spending an increasing amount of time communicating with patients via the patient portal, managing prescription refills, ordering tests, communicating electronically with staff, and reviewing test results, none of which are billable activities. Work that isn’t logged in the EHR made up the remaining 20 percent of the average doctor’s day. 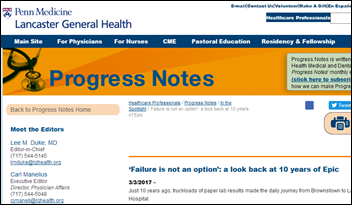 The authors suggest using scribes to manage progress notes, which they estimate would free up one-third of the physician’s time. World Wide Web creator Sir Tim Berners-Lee wins the Turing Award (computing’s Nobel Prize) for that 1989 accomplishment, but his concern for net neutrality and an overly centralized, commercialized Web storage model that threatens individual privacy has led him to create Solid. Users would be able to decide where their data is stored and how it is shared. He’s also concerned that the web has been turned into a “purveyor of untruth” by an ad revenue model that rewards click-baiting rather than accuracy. A study finds that ABIM’s Choosing Wisely campaign that encourages both clinicians and patients to skip low-value services had a small but statistically significant reduction in back pain imaging, for which patients often must pay out of pocket. It concludes that the 4-5 percent reduction indicates that consumer incentives may be ineffective for reducing low-value medical care. 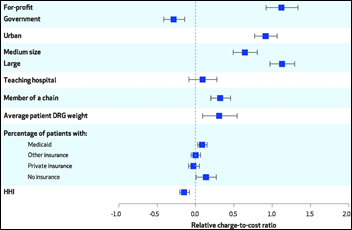 A study finds that chargemaster prices not only vary widely among hospitals, they correlate to the price actually paid by insurers and patients. Not surprisingly, list price was not correlated with hospital quality. The authors conclude that hospital list prices are neither irrelevant nor indicative of price gouging, but are rather a subtle method hospital use to get favorable deals from insurers, leaving uninsured patients stuck with paying the made-up high prices in cash while everybody else gets negotiated discounts. Cambridge Mobile Telematics, which offers brilliant smartphone driving apps to educate drivers and allow auto insurance companies to set rates based on driving habits, analyzes its user records to determine that drivers were distracted by their phones in 52 percent of trips that ended in crash, with an alarming one driver in four using their phone within 60 seconds of their crash. The company also found that distraction was just as bad in states with laws against using phones while driving. 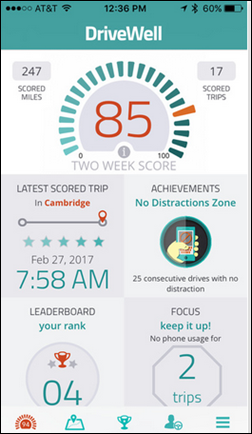 Users of the company’s DriveWell program reduce their phone distraction by 40 percent within two months. Crossings Healthcare Solutions posts its most recent newsletter. 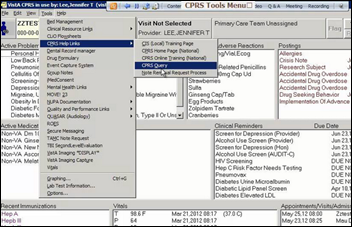 Daw Systems will integrate CoverMyMeds electronic prior authorization into its ScriptSure e-prescribing system. 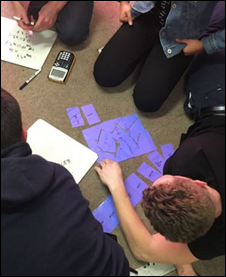 Bernoulli’s John Zaleski and Jeanne Venella, RN co-author an article in the Spring 2017 issue of AAMI Horizons. Black Book honors top cybersecurity firms at InfoSecWorld Conference and Expo. Dimensional Insight will exhibit at the Cannabis Business Expo April 12-14 in Phoenix. Healthgrades announces Outstanding Patient Experience and Patient Safety Excellence Award recipients. VistA -really?? Has anyone tried installing it? It’s like a 1990’s FoxPro app installation on Linux – what a piece of work, yet our government experts still want to entertain it. More likely that they don’t want to admit they need Epic or Cerner. Just another round of “leadership” that get their pics taken in front of an American flag. 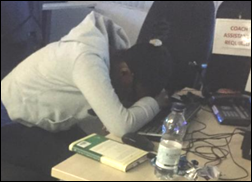 So much for the CIO’s dream of a ‘single vendor’ solution. This one I first heard in 1973 at a AHA Info Syst conference (precursor to HIMSS). So after almost fifty years why are we still hearing this? You can’t just blame it on ‘dumb’ IT people, or stupid administrators. Somehow the medical /clinical folks have to also be responsible. After forty years in HIT I have my thoughts about it, and someday I’ll write the book. Your first quote is a bit misleading. The physician is complaining that he can’t easily review data from other health systems for things that happened outside of LG Health. …and that was also a complaint in 1975! There seems to be a lot of movement on costs in the global market these days, particularly in the Nordic region. Check out this article on how Epic is causing hospital delays/cost overruns in Finland. Did you actually bother to link the article that you posted? It talks about how Finnish gov’t health leadership flew to the US to visit a site that uses Epic and, presumably, to meet with Epic in Wisconsin. The [presumed] outrage is around the 40K the gov’t spent on the site visits – where are you getting hospital delays and cost overruns? Admittedly I’m not fluent in Finnish, but I did dump the whole text into google translate, and I don’t think either of you is really giving this the right interpretation. The 40k Euro cost of the trip is certainly controversial, but it looks like the typical complaints around expected cost compared to losing bids. There’s nothing here about overruns or delays, since as pointed out, it’s not live. Epic isn’t even live in Finland. Just a few months into the project.